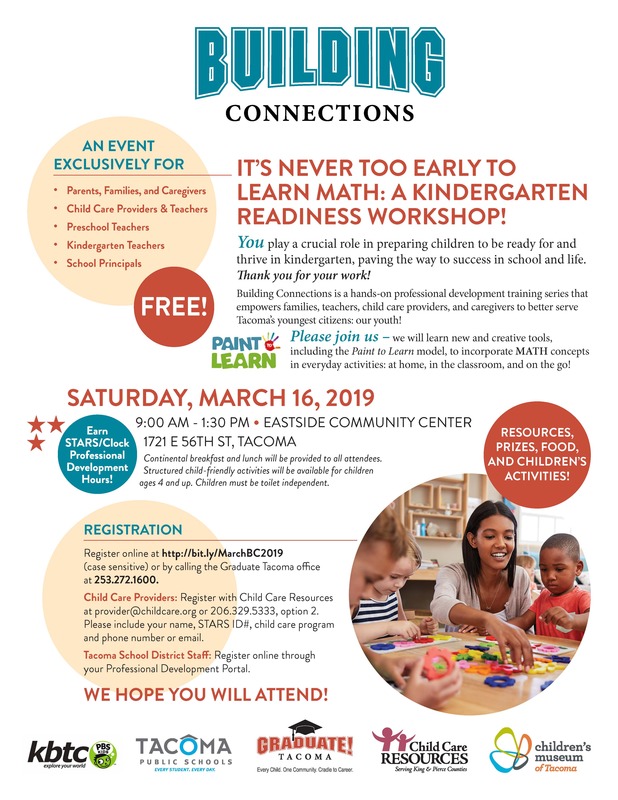 A free Kindergarten readiness workshop where we will learn new and creative tools, including the Paint to Learn model, to incorporate MATH concepts in everyday activities: at home, in the classroom, and on the go! Continental breakfast and lunch will be provided to all attendees. Structured child-friendly activities will be available for children ages 4 and up. Children must be toilet independent.